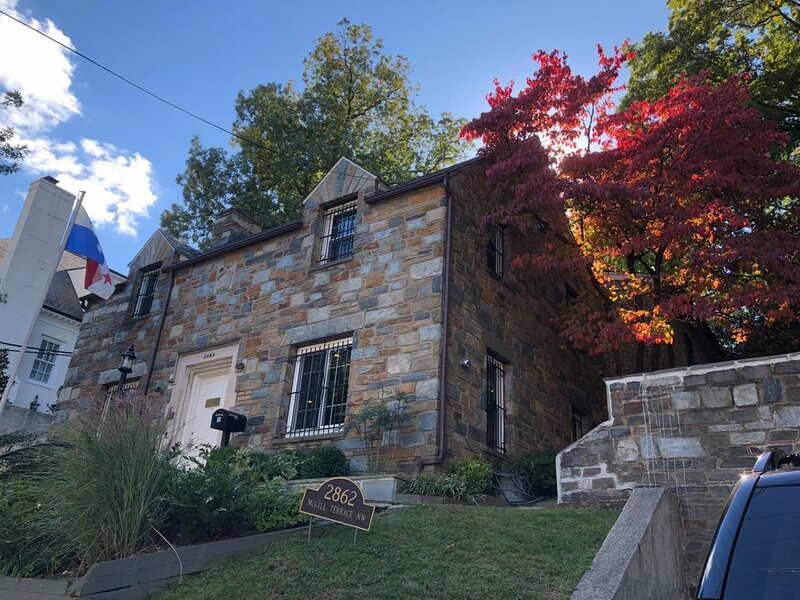 This year the Embassy of Panama in Washington, D.C., will be opening its doors to the public as part of the Around the World Embassy Tour event on Saturday May 4th. We will have Panamanian gastronomy, cultural artifacts, dancers, and even a traditional Diablo Rojo outside the Embassy for guests to take pictures with. Don’t miss this opportunity to get to know our country better! We are located at 2862 McGill Terrace, N.W., Washington, D.C., 20008. We will be open from 10:00 AM to 4:00PM. Join us in Panama, January 2019, with Pope Francis for a once in a life time celebration of faith. 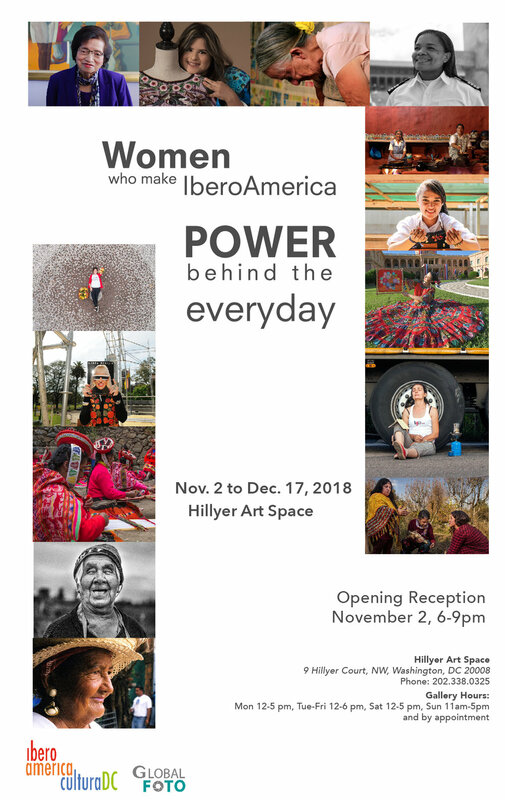 Panamanian photographer Maria Fernanda Gonzalez will exhibit one of her works at the Hillyer Art Space Photo Exhibition: “Women Who Make Iberoamerica: Power Behind the Everyday”, located at 9 Hillyer Court, NW, Washington, D.C. Joins us for the free opening night on Friday November 2nd from 6:00PM to 10:00PM to meet Maria Fernanda and admire the power of Iberoamerican women! If you can’t make on November 2nd, you can still view the exhibit from Friday, November 2nd to December 17th at the Hillyer Art Space, which will be open to the public and free of charge. 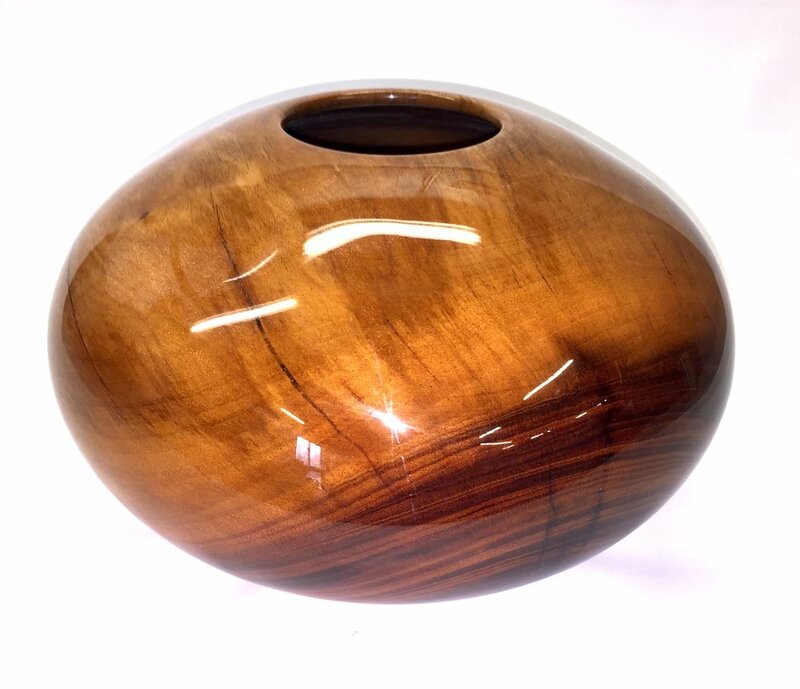 Gallery hours: Mon 12-5pm, Tue-Fri 12-6PM, Sat 12-5PM, and Sun 11am-5pm. 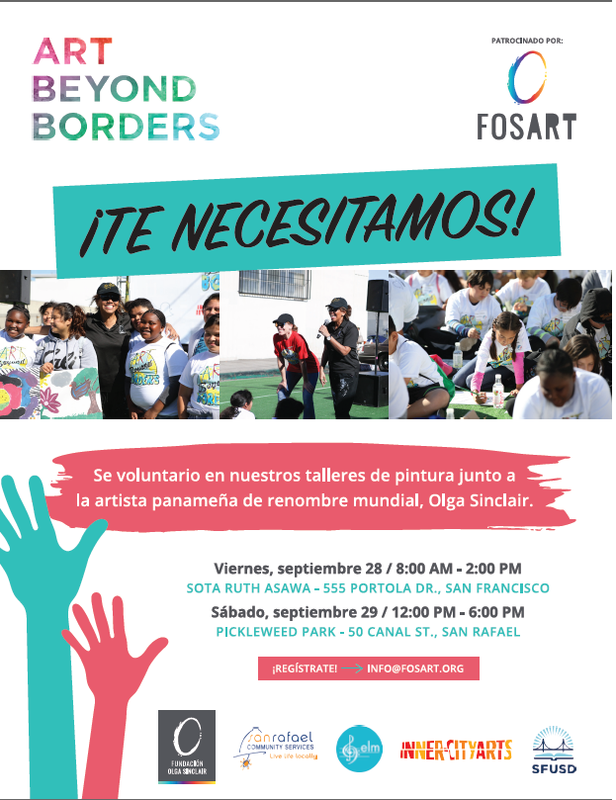 On Friday, September 28th, in San Francisco, and on Saturday September 29th, in San Rafael, you have the amazing opportunity to participate in an art workshop with world famous Panamanian artist Olga Sinclair. 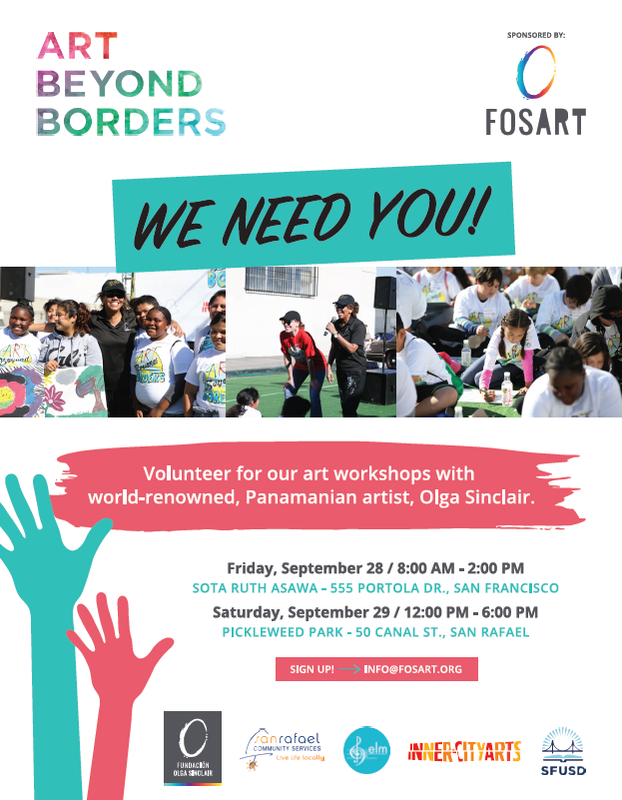 To sign up please send an email to info@fosart.org. Don't miss a night of food, music, art, and more as the Ibero-American Cultural Attachés Association (AACIA) presents the fifth annual Noche Iberoamericana! Come taste cuisine from Argentina, Ecuador, and Honduras while sipping on Chilean, Portuguese and Uruguayan wine, Peruvian pisco sours, Spanish Cava and Cuban mojitos. Finish it all off with Colombian coffee and dessert. The evening's program will include live musical presentations courtesy of the Embassies of Panama and Venezuela. The Mexican Cultural Institute's exhibit Constructing MEXICO68 will also be on display. Plus, two round trip tickets to Costa Rica will be offered in a raffle! Guatemala will wrap up the night with a farewell souvenir. You won't want to miss it. This year, Noche Iberoamericana will also offer a VIP ticket option that will include all of the above in addition to Paraguayan appetizers, Chilean and Uruguayan wine, a signature cocktail from El Salvador, a raffle for two round trip tickets to Mexico, and a diplomatic greeting and tour of the Historic Mansion that houses the Cultural Institute of the Embassy of Mexico. The evening start at 6:30 PM for VIP Guests and 7:30 PM for General Admission guests. Please arrive on time. There are many facets to the event and the evening is planned so that you can mingle and walk inside the Mexican Cultural Center to enjoy your evening. Kindly note that the event is not organized as a sit-down event or dinner function but rather as a stand up cocktail reception with authentic food tastings. Business or cocktail attire requested. Please reserve your tickets now, as the event is expected to sell out in advance. All attendees must be 21 and over. Please note that parking is limited to street parking in the vicinity of the venue. Due to the limited availability of parking, we highly recommend a cab, Uber/Lyft or other transportation option. The event start at the designated time so please allow sufficient time for traffic/travel/transportation and parking as these factors are beyond our control. All ticket sales benefit the Ibero- American Cultural Attachés Association's (AACIA) cultural activities and are tax-deductible. The Embassy of Panama is proud to announce that it will be participating in the Embassy Chef Challenge on May 17th, 2018! Every Embassy will be bringing their own Chef to represent their country's gastronomy to compete against the other chefs to determine who made the most delicious dish. Our country's gastronomy will be represented by the renowned Chef Felipe Milanes, who is travelling all the way from Panama for this competition. Don't miss this amazing opportunity to try food from all over the world in a single evening, and please come support our Chef who has worked very hard to create his dish and drink. The Embassy of Panama joins 20+ other embassies to present culture in various facets to children and families at the 2018 Culturfied International Children’s Festival in Washington, DC. The festival will be held April 29, 2018 from Noon-4 PM at the Ronald Reagan Building & International Trade Center. The International Children’s Festival was originally created and presented up until 2012 by Meridian International Center Educational Outreach Programs and will be relaunched and presented this year by Culturfied Foundation. The Culturfied Foundation is a leading non-profit organization headquartered in Washington, D.C. Through strategic partnerships the foundation offers a cultural literacy program to elementary and middle school students annually in the Washington metro area. The International Children’s Festival is the foundation’s latest project to join their portfolio of more than a dozen cultural education programs and events each year. · Enjoy international dance, music, and comedic acts; many groups will delight children and their families by inviting them on stage for interactive lessons. For more information about Culturfied Foundation, visit http://culturfied.org/ or search ‘Culturfied’ on Facebook, Instagram and Twitter to connect.